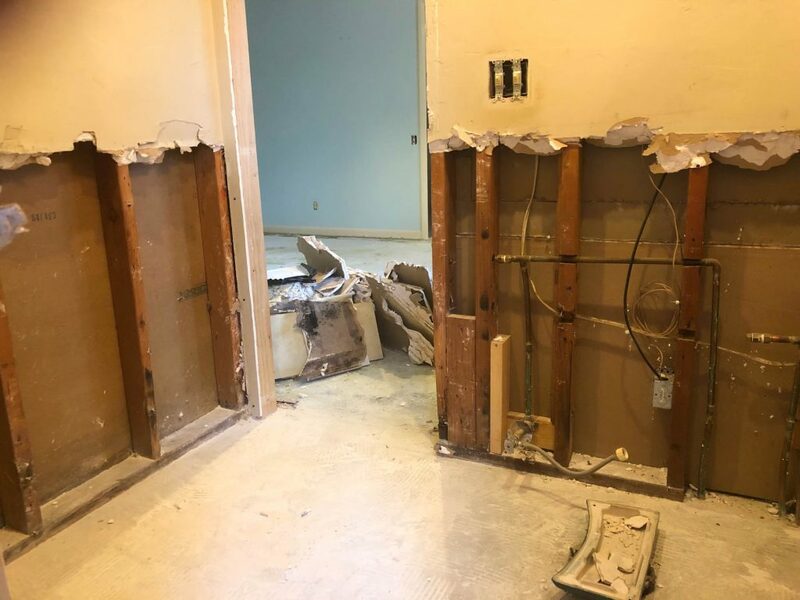 There’s a rule with house flipping: expect the unexpected. For such a small space, this elevator bathroom reno has thrown so many curve balls at me! Plan A rarely works- especially with older houses, so I tend to have a Plan B. This week, however, I think got all the way to Plan D when trying to figure out a design that will work with this bathroom renovation! As a refresher, I’m taking a powder bathroom (that used to be a master bathroom) and converting it back to a master bathroom. I’m doing all of this with the help of Jeffrey Court. I knew this wouldn’t be a weekend warrior kind of project. 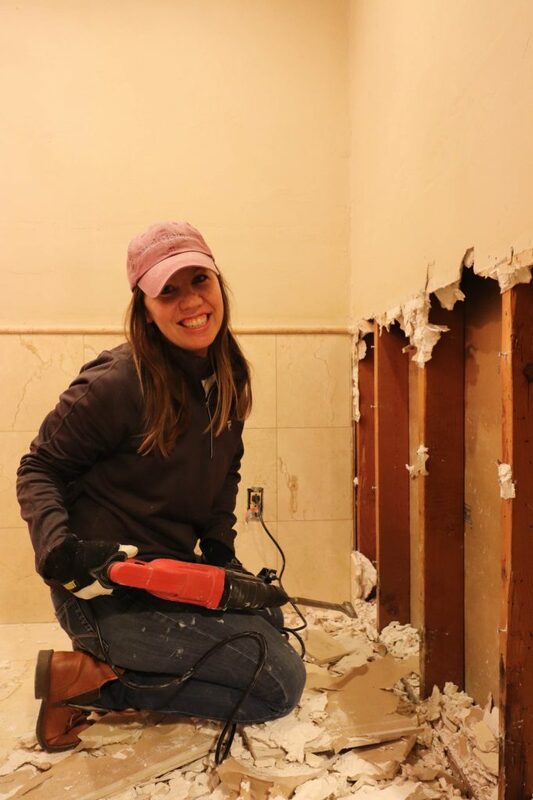 I knew I had lots of demo & plumbing & tiling ahead of me, but I just didn’t realize I would have to rearrange the layout of the bathroom so many times in one week trying to make it work! My original plan was to put a corner shower unit in the space. Unfortunately, due to expense and logistics, I quickly discovered that was not a possibility. Plan B was to put a tub/shower combo in bathroom. I bought a tub, got it in the bathroom, and quickly realized it was ¾” too long. Old houses come with crazy hiccups & hurdles! 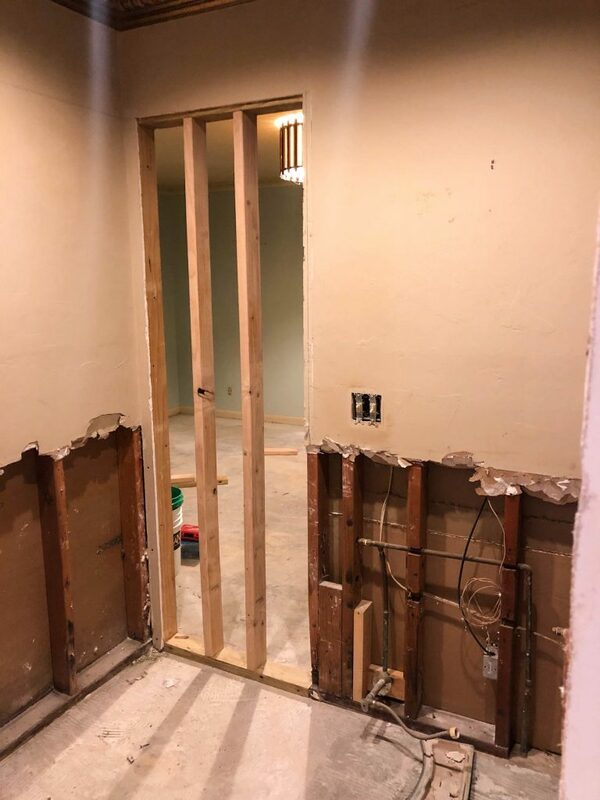 The current plan is to create a full walk-in shower. Let’s hope this new plan actually works! Most of this week focused on demo. My main goal was to find the original plumbing, existing drain pipe, & the original door frame leading to the master bedroom. The good news is I found all of them! When I bought this home, I knew that if I could add a master bathroom back, it would be like adding gold to the value! So, you can imagine my excitement when I finally uncovered the original shower drain! This week was very frustrating! I felt like I had more hurdles than I did victories. But that is exactly how renovations go! Things go wrong. Things don’t go as planned. But then sometimes you find the drain pipe, and you scream with excitement! I ended the week with prepping for the new shower! I don’t think I’ve ever been so excited about a shower! 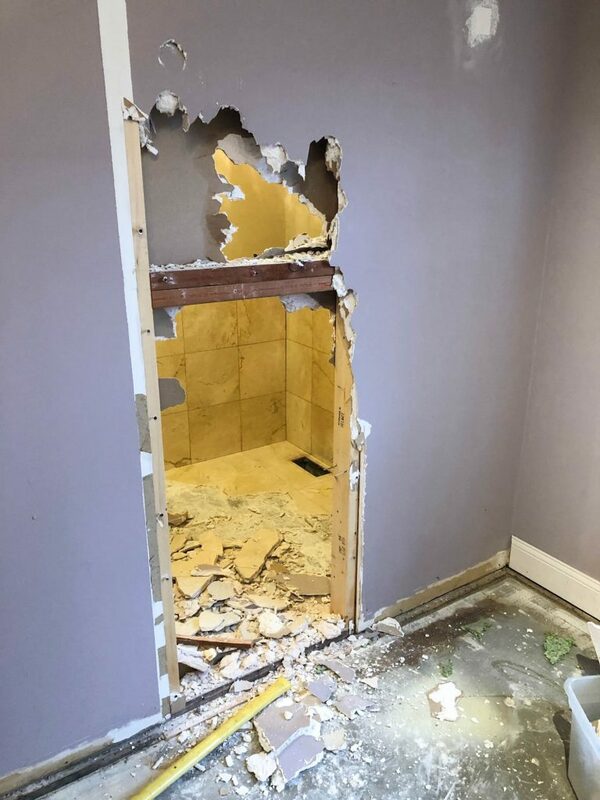 The shower will go in the location of the previous door way to the dining room. The next task is for my plumber to clear the existing drain line, run the plumbing for the shower, and get the shower pan set. Once I get the shower situated, I can move on to prettier & more exciting finishes!